We all know that a little R & R is good for us but do we ever take it? After last week’s blog on stress and the need to play, this week I decided to take my own advice and I went on a little day trip to somewhere the world will know as Downton Abbey. 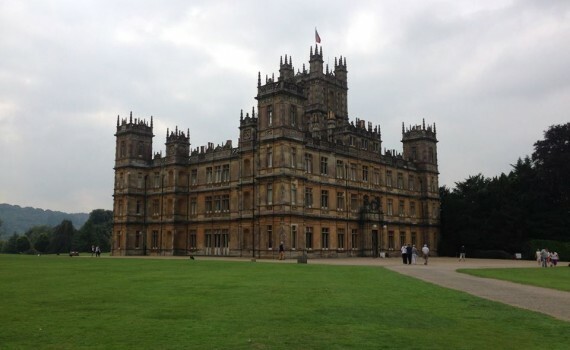 Highclere Castle is in Newbury West Berkshire so my wonderful friend and I travelled down to explore this iconic building and grounds. We talked about the insignificant and important things going on in our lives, strolled around the stunning grounds, lay in the sun and had afternoon tea with champagne. It wasn’t until I came home and was loading and reviewing my photos to see the joy the day had brought and actually how much I needed a day of play. Even counsellors sometimes forget their own advice! It’s very easy to and carry on regardless, working full time, being a Mum, housework, other chores along with obligation of visiting your own parents, doing things that at the time were a good idea but when it comes round to it now are a chore, or even agreeing to something we know we should have said no to and forgetting that we actually need to rest and recuperate so that we can continue to do everything. We often agree to do something on a whim without thinking about the cost to our own sanity spreading ourselves too thin for us to actually sit back relax and enjoy the moments that we are in. Saying NO is the biggest thing anyone can learn to do. We say yes, or we make excuses when really we shouldn’t need to explain ourselves at all but do so for fear of upsetting the person who is asking us; with that said saying No is probably the hardest thing to actually say particularly if it family obligation. How many times have you agreed to attend something that you have had no interest in to appease another person? How many times have you spread yourself so thin that your run ragged, therefore cancelled that coffee with friends or the massage that you were looking forward to? Counselling gives people the chance to breathe; the counsellor whoever it is is there solely there for their client and no one else, enabling the client to just be for that hour and do something that they need themselves. In time people realise that before they can help anyone else and be there for family and friends they need time for themselves to do the things that will help maintain their own health, and enjoyment in life. Saying no doesn’t mean you are rejecting a persons friendship or needs its saying actually that’s not for me and likewise when someone says no to you its not rejection its just right now they need to do whats right for them. Above anything else my day trip gave me the time to enjoy something that I’ve wanted to visit for a long time, participate in my passion of photography and connect with a friend without a two year old distracting my attention. It gave me time to recuperate and recharge my batteries and to come back to work feeling inspired. So all in all a little r & r is good for me. What will your next day trip do for you?